Some things age beautifully. They settle into their surroundings with dignity and grace. I am not one of these things! 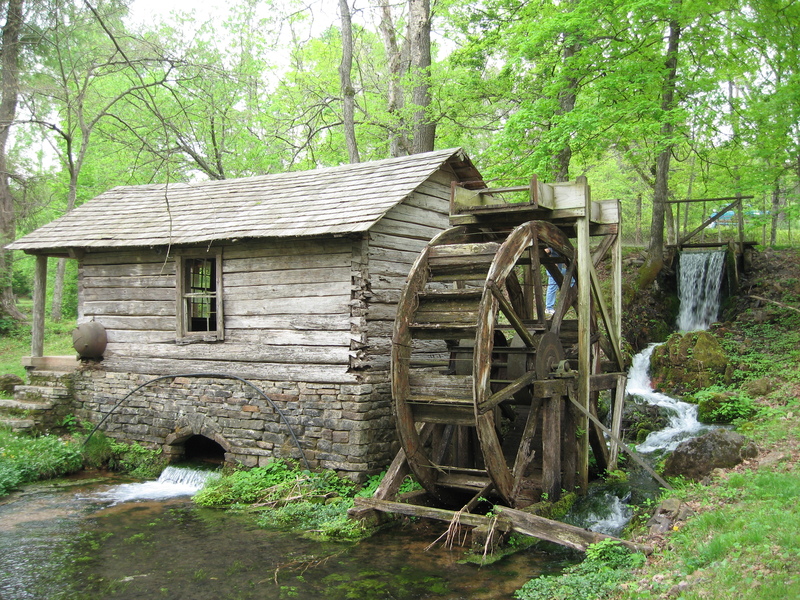 But this old gristmill at Reed Spring near my hometown in Missouri is. Reed Spring Mill is in the southeastern Missouri town of Centerville in Reynolds County, near the Black River on the edge of the Mark Twain National Forest. I think it is beautiful. Beautiful photo! Did you take it? Yes, I took it this summer on a visit. It is a beautiful, serene place. I have a cousin who lives right down the road from the mill. Lucky.